The clever cook when using Morgenster White Truffle Enhanced Extra Virgin Olive Oil will fall between the miser and the statesman. 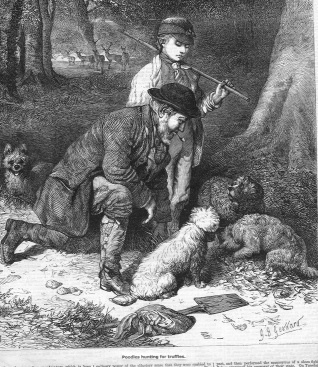 The white truffle of Alba, grows on the roots of Oaks, Poplars, Willows and Hazelnut trees, is ‘hunted’ by dogs and their “Trifulao” masters in the dead of night to conceal their hunting grounds. Some truffle oils are flavoured with artificial substances. The Morgenster White Truffle Enhanced Extra Virgin Olive Oil is made on Morgenster using an extract of the Alba white truffle imported from Italy and blending this with their superb Extra Virgin Olive Oil. My favourite way to use this oil is in a mushroom dish where it lends its petrichor aromas which enhance the flavour of the mushrooms. But do be sparing. 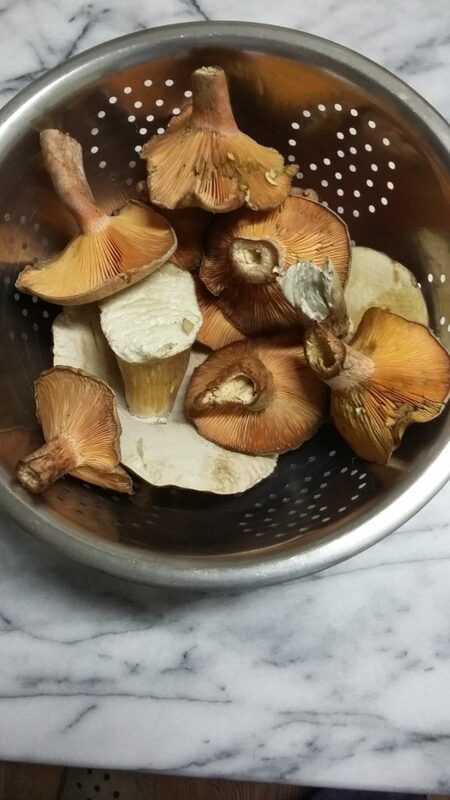 Recently some friends brought us a little stash of foraged mushrooms. 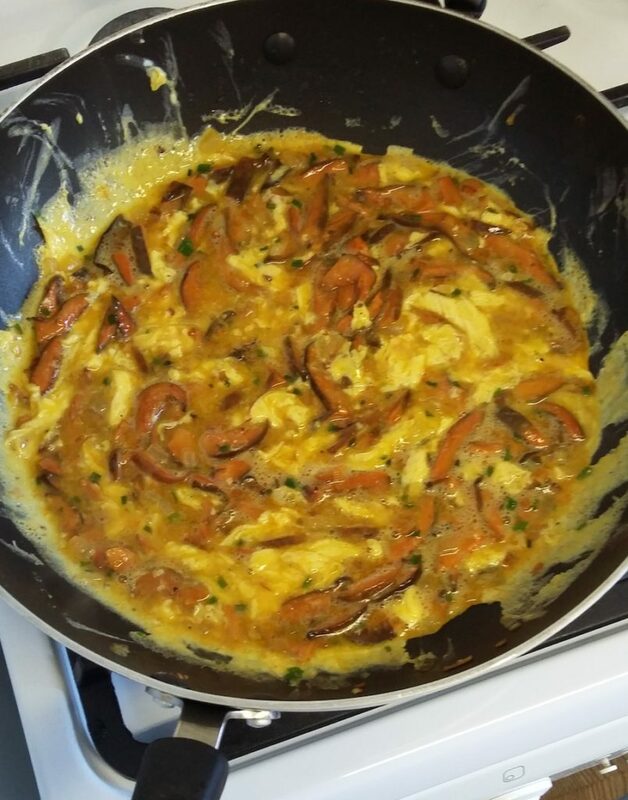 We made wok stirred scrambled egg with pine rings. There were three of us so this is what we did. Clean the pine rings by brushing them with a pastry brush. Cut into thin slices. Heat the oil in a wok. Meantime, beat the eggs with a whisk in a large bowl and season with the salt and pepper, add the chives. When the oil is hot, add the pine rings and cook over medium heat until the mushrooms are soft and cooked. Pull the wok off the off the heat and pour in the eggs, Return to medium heat and scramble the eggs slowly until they are almost done to your taste. Finally swirl in the smallest amount of the Morgenster White Truffle Enhanced Extra Virgin Olive Oil. You will find that the Truffle oil just enhances the flavour of the wild mushrooms and adds it own gentle rustic earthy touch. Serve on slices of buttered toasted sourdough bread and a crisp green salad dressed like a spendthrift Morgenster Extra Virgin Olive Oil and like a miser with Morgenster Balsamic Vinegar.